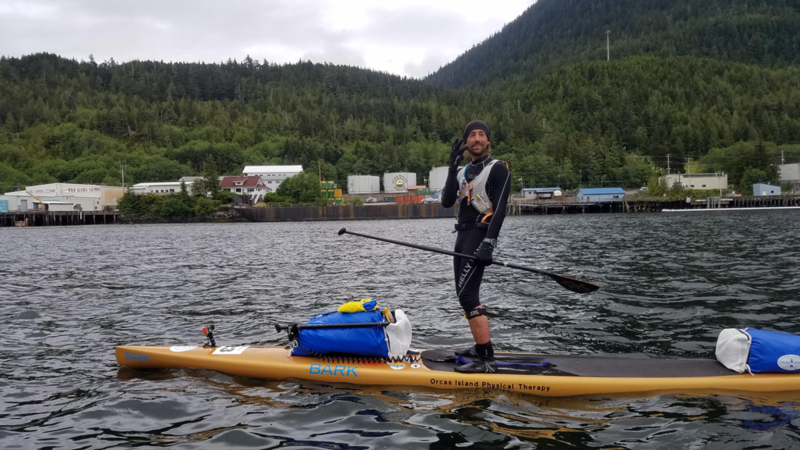 In the 2017 Race to Alaska, Karl became the first person to paddle the 750 mile race course on a Stand Up Paddleboard. He completed the race in 14 days often paddling up to 70 miles per day. Karl will discuss how he trained and prepared for this epic journey. Follow his route mile by mile from Port Townsend northwards up the Strait of Georgia through the Inside Passage to Ketchikan. In June, Karl will be competing in the first annual Seventy48 race from Tacoma to Port Townsend in 48hrs. A resident of Orcas, Karl runs a sailing charter business, Kruger Escapes. When: 6:00pm, pizza and social hour. Slide-show starts at 7pm.